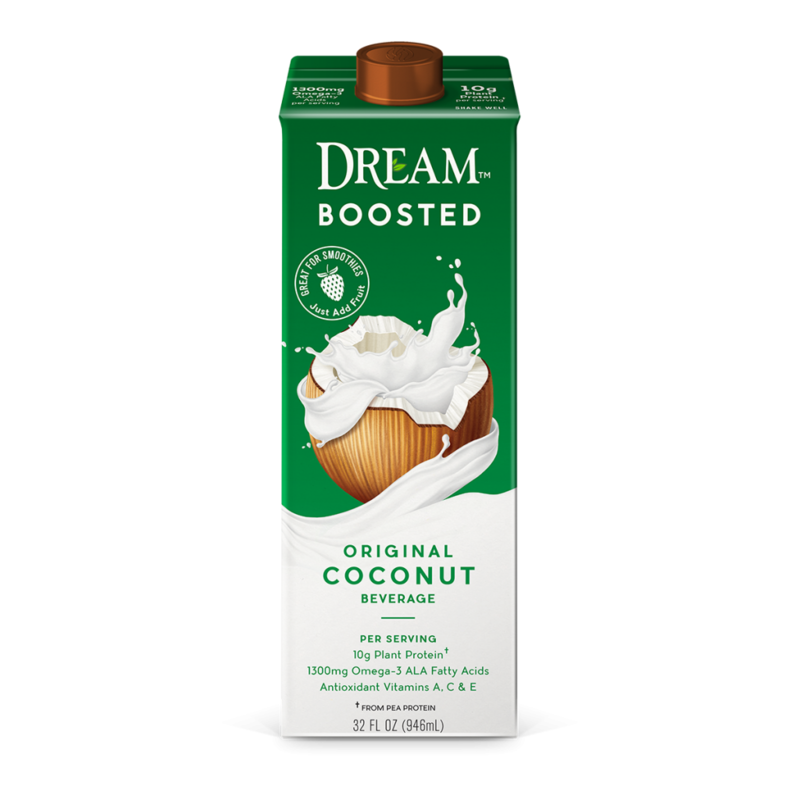 DREAM™ Boosted Original Coconut Beverage is made with wholesome ingredients that balance great taste and good nutrition. Each serving provides 10g of plant-based protein* and 1300mg of omega-3 ALA fatty acids, plus antioxidant vitamins A, C and E Simply blend with your favorite fruit and a handful of ice to create the perfect super smoothie. **Comprised of 3g medium chain fatty acids (MCFAs) per serving – a form of fatty acid that is more readily metabolized than long chain fatty acids. 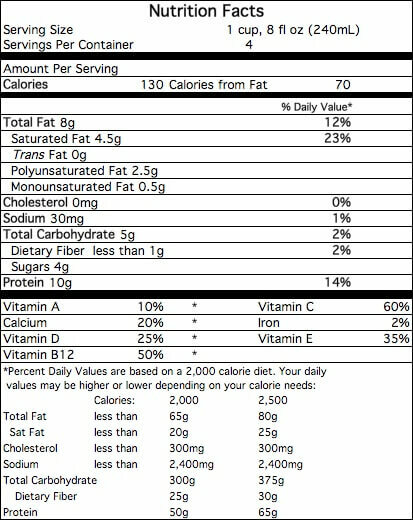 See nutrition information for saturated fat content. COCONUT BASE (FILTERED WATER, COCONUT CREAM), PEA PROTEIN, EVAPORATED CANE SYRUP, FLAXSEED OIL, VANILLA EXTRACT, CALCIUM CARBONATE, CAMU CAMU POWDER EXTRACT (CAMU CAMU, ASCORBIC ACID, MANIOC), CHIA SEED OIL, SUNFLOWER LECITHIN, GELLAN GUM, XANTHAN GUM, VITAMIN E (D-ALPHA TOCOPHERYL ACETATE), VITAMIN A PALMITATE, TRICALCIUM PHOSPHATE, VITAMIN D2, VITAMIN B12.